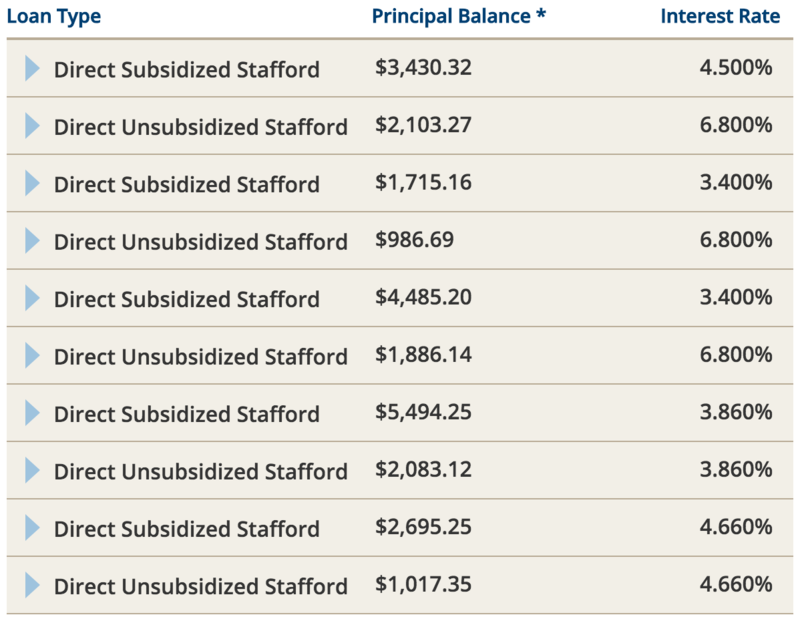 I've got ~$30K in student loan debt, spread out between different loans with different interest rates. My minimum payment is $190, but I'm in a financial position where I can afford about $750 per month. It's my understanding that payments are applied first to accrued interest, then proportionally (more money goes to larger loans) for the first $190 (my minimum) of a payment, and finally any remaining money (in my case about $560) goes to the loan with the highest interest rate. Please correct me if I'm wrong on any of that. This all being said, it stands to reason that paying $750 every month is better than paying 3 × $750 = $2,500 every three months because the accrued interest will be less overall. Likewise, it stands to reason that paying $750 every month would also be better than paying $750 ÷ 3 = $250 three times a month because only $250 − $190 = $60 minus any accrued interest (compounded daily) would be going toward my high-interest-rate loans. Is there a happy balance between these extremes? Does it even matter all that much? Do my assumptions check out? Reading Great Lakes' page How Payments Are Applied, I think you are probably correct about how the payments are applied: Interest first, minimum on each loan next, then any extra is applied to the highest interest loan. If I were you, I would make one payment a month, and I would make that payment as large as I possibly could. Trying to make more than one payment in a month is too complicated (and you aren't sure exactly how those payments get credited), and saving up for a big payment every few months is pointless and will cost you interest. If you have a minimum monthly payment amount of $190, then you have to make a payment every month. If you pay only every 3 months (even if you pay 3 times the minimum amount, or much more), you would not be making the minimum monthly payment for each month: one month would get the minimum monthly payment, plus a lot more, then the following 2 months you would be in default because you didn't pay the minimum amount for that month! Interest is usually accrued daily, so you want to make the payments as early as possible. Pay back as much as you can afford each month, as soon as the money comes in. When computing how much you can afford, if you haven't already done so, it may be a good idea to keep a little bit aside (at least the first few months, to build up a little security pillow), just in case you need it (you won't be able to get money back from those overpayments if you need any money for an emergency). Not the answer you're looking for? Browse other questions tagged loans student-loan debt-reduction payment or ask your own question. Can student loan minimum payments go up upon full repayment of another? How should I pay off my private student loans that have a lot of restrictions?